Looks like a Lamborghini, so it's great the Gigabyte gaming PC goes like one? This is one of the most powerful gaming laptops we've reviewed in a while. It won't blow you away in terms of gaming performance, but it's certainly enough to play the majority of games at higher settings and the price isn't out of this world. 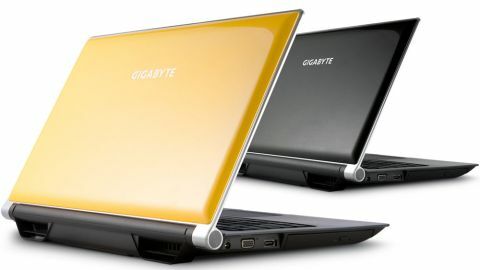 The Gigabyte P25 is the new bread and butter in Gigabyte's lineup of gaming portables, cutting a nice line between the more sizeable 17-inch and it's slimline Ultrabook partner. Whereas those laptops have compromises, whether that's a larger screen or better portability, the P25 caters mainly for gamers who want the maximum amount of gaming performance, without having to lug an unnecessarily large chassis around with them. Mind you, at 2.8kg, the P25 isn't exactly what we'd call lightweight - nor is it particularly slim - but if you want decent graphics capabilities, something has to give. Thankfully, Gigabyte has done a decent job of reigning things in and maximising every inch of space. Are these the 20 best British games? The majority of competition in the gaming arena is from 17-inch laptops. The P25 has a 15.6-inch screen, so you're sacrificing a bit of screen real estate, but what you get is a much more portable chassis. It'll happily pop in a bag with a 15-inch laptop pocket, albeit with a little bit of persuasion. While this is a gaming PC, Gigabyte hasn't exactly gone over the top with flashy additions that have no real bearing on performance. OK, so the back of the screen is a little garish, and the fan vents located at the rear have obviously been designed to mimic the exhaust tail pipes of a supercar, but you can specify it in plain black, and elsewhere the P25 is quite minimalist. It's a solid thing, that's for sure, though it does feel a tiny bit cheap in places. Instead of spending time on the aesthetics, Gigabyte has included some top-of-the-line components to keep gaming-hungry fans happy, including an Intel Haswell processor, as well as a storming graphics card from Nvidia. The P25 is on a par with the similarly specced Schenker XMG P503, though the Schenker looks seriously basic, and isn't anywhere as slim or attractive as the Gigabyte.